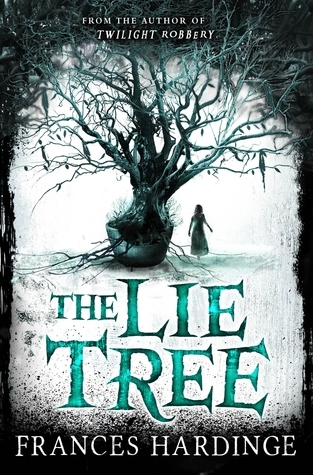 I’ve been meaning to read The Lie Tree since it won the Costa Book of the Year Prize - it's unusual for a YA novel to win a big literary award. The premise sounded a little silly, to be honest, in the same way that a lot of Dystopian YA premises are quite daft. Faith is the daughter of a Reverend Erasmus Sunderly, a renowned archaeologist / palaeontologist in Victorian Britain. The novel starts when her entire family temporarily relocates to the island of Vane, so her father can join a dig there and provide expert insights. From the first moment we meet them, they are not the easiest people to be around. Her mother is unceasingly manipulative, trading on her good looks and flirtatious demeanour to get any and every advantage she can obtain. Whether it’s bullying her luggage into the driest spots on the ferry or elbowing her way into the top of any pecking order in any social situation, she’s unbearable and horrible. Her father, meanwhile, is cold, stubborn and judgemental, idolised by Faith not so much for what he does (which is mostly growl, thunder and keep secrets), but who he is – her father and very nearly the voice of God. Only her little brother is okay, because he’s a small child and acts like one. Even on the ferry, she gathers that there is more to their joint relocation than meets the eye: her family is running away from something nebulous and scandalous. Deeply curious and with a weakness for sneaking and spying on people, Faith makes it her guilty mission to find out what is going on, and to be of use to her father. The titular Lie Tree does not make its appearance until about halfway through the novel. Up to that point, the story is one of intrigues, secrets and guilt, of scandals and shunnings. It takes a murder and the appearance of aforementioned magical tree for the plot to change gears. It’s still about intrigues and secrets, but finally, it is also suspenseful and pacey. The second half of the novel is a lot better than the first. It’s still a fairly grim and serious novel about messed up and unpleasant people, with a heroine who chafes against the constraints of society as much as she self-loathes for her failure to be a “good” girl, but at least it entertains despite its bitter flavours. The Lie Tree is a novel which may be intended to be read in schools. It's clear the author has opinions and wants to communicate them through the novel, so I imagine many a youngster will have to write essays and do critical analysis of the story - at times it feels like it's written for that very purpose. Compared with other novels starring adolescent girls in more constrained times, The Lie Tree is very overtly interested in the oppressive and self-repressive effects of patriarchical societies. There are some standout "teaching moments" in the text. At one point, Faith looks at herself in the mirror, and concludes that this wild, messy creature she sees is not meant to be a good girl. It is a turning point, and from then on she relishes breaking rules and conventions, getting more and more out of control. As much as the reader might cheer her on initially, some of her actions soon have dire consequences. When a (supposed) baddie calls her a "little viper", I found myself cheering and rooting for the baddies. At the end of the book, a handful of conversations and thoughts about women and their roles in society occur, some internally (Faith contemplates the way women researchers are treated and remembered by society), others in dialogue (Faith and her mother have a frank conversation). The author might as well have put a giant sign here saying "and the moral of the story is..."
I can't disagree with the author's views, and I don't even mind the somewhat blunt discussion of the book's themes at the end. What does bother me is that, even now, I'm not sure that we haven't been following the "bad guys" all along. Had the novel been written from the perspective of its antagonist(s), it might well have had a more likeable set of heroes. The Sunderly family is full of abhorrent people, and even Faith is, when all her deeds are totalled up, not just failing to be a "good girl", but ultimately, her actions make her not a "good person", either.